I have no doubt in my mind that at present, one of the most interesting translation efforts regarding the Torah in Poland is the work of rabbi Sasha Pecaric – Tora Pardes Lauder. Firstly, because it introduced something that Poles interested in Judaism had lacked: an interpretation of the Oral Torah strictly connected (in the Jewish tradition) with the Written Torah. The Oral Torah is, in the simplest terms, the entirety of the interpretative tradition of the Written Torah. It contains the Talmud, the Code of Jewish Law (Halacha), numerous commentaries and Midrashim. Pecaric made an attempt at something seemingly impossible – to express in Polish the richness of the interpretative tradition of the Torah present in Jewish thought. Personally, I had been familiar with Pecaric’s oeuvre before I learned about Cylkow, and before I began the work described here. It was a discovery of immense depths of wisdom and thought. Why am I writing about this in the introduction to my edition of Cylkow’s Torah? This is because among the “proponents” (if I may use such a term here) of the Cylkow translation and the “proponents” of the Pecaric translation (including rabbi Pecaric himself), there exists a certain contention. 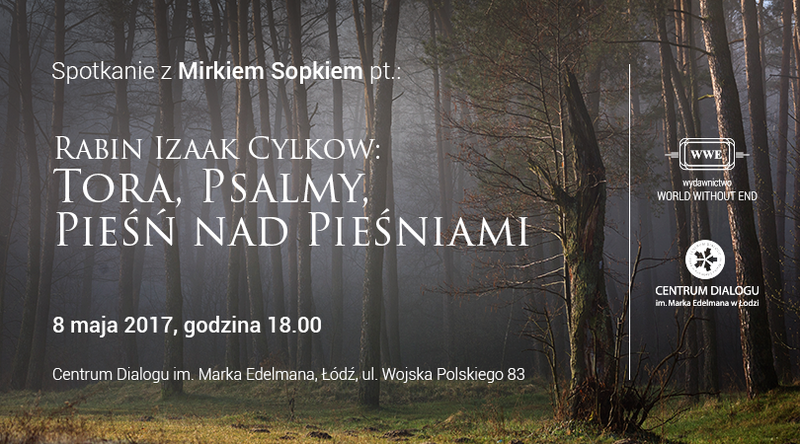 Rabbi Pecaric has recently revealed that when he arrived in Poland, he was against releasing Cylkow’s works. On the other hand, an acclaimed expert in Cylkow, Piotr Paziński, considers Pecaric’s translation to be an ambitious and useful, but ultimately failed project. As it is often the case, neither side of the argument is entirely correct. Naturally, I do not feel entitled to indicate particular aspects of this “lack of correctness”, or to pass judgments. I will only allow myself to express a sort of personal statement: if I have ever “learned” the Torah in Polish to at least a minimal degree at all, or merely began to appreciate its sense for my own self, were I able to really study it – then this happened thanks to Pecaric’s profound reflection and his Torah Pardes Lauder, so deeply rooted in the Jewish tradition! However, I must also admit that if I was actually able to perceive and grasp the often seemingly inexplicable meaning of the Torah’s many tales and themes, in their primal vitality and with a sort of deeper significance, such that is not easily translatable to words – this perhaps happened thanks to this archaic, yet at the same time very authentic Polish language employed by Cylkow. Therefore, I do not think that either of this projects is better than the other – both of them should be a source of pride, a pride related both to the unique Jewish component of the Polish society, and to the exquisiteness of the present day experience of Poles reaching to the Jewish interpretative thought.